The bank wants to warn investors – and update the cryptosphere’s lexicon. The central bank of Spain has published a warning on its blog regarding the unregulated cryptocurrency market in the country. Although most of the blog post highlights a laundry list of risks associated with making purchases or payments with cryptocurrency, it’s quick to point out that the European Union’s (EU) own understanding of cryptocurrencies is ever-changing; likewise, the Bank of Spain’s is evolving, too. The Bank of Spain is clear in its warning: Because no laws regarding cryptocurrency regulation have been approved in Spain, any kind of crypto-related companies or exchanges are not supervised or authorized in any way by the bank. 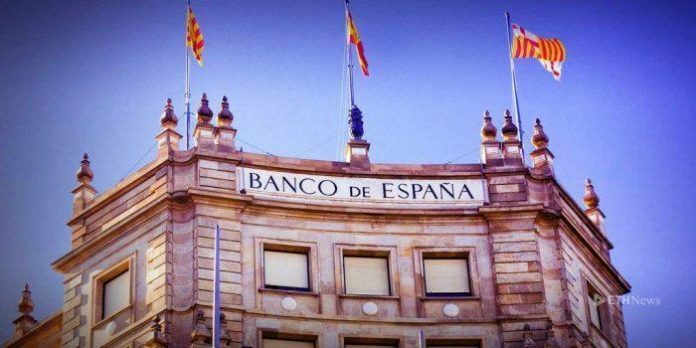 The post also warns that crypto platforms are not subject to Spain’s Deposit Guarantee Fund, which protects customers’ bank deposits up to €100,000 in the event that a bank goes bankrupt. With little to no protection offered up by an existing legal framework, the bank warns that “it would be impossible for any consumer to claim their rights” in the event that a payment or purchase made with cryptocurrency was to go wrong. And with the market’s high volatility and lack of transparency, the bank believes price manipulation is a significant risk. Though Spain has yet to draft its own regulations, the blog post avers that a hard and fast definition of cryptocurrency is elusive, citing the fact that the EU’s understanding of cryptocurrency changed twice from 2012 to 2015. The bank asserts that there is “no unanimity about the definition,” and believes the term cryptocurrency itself can be “misleading,” suggesting “virtual or cryptoactive assets” be used as replacements. Though Spanish authorities have yet to properly regulate the cryptocurrency market in their country, that hasn’t stopped the Ministerio de Hacienda, Spain’s ministry of finance, and the Agencia Estatal de Administración Tributaria, Spain’s tax agency, from stepping in. In November 2018, both agencies announced they would investigate 15,000 crypto-holding taxpayers to detect any possible money laundering schemes and ensure gains and losses were correctly reported on tax documents. This isn’t to suggest the country isn’t working on drawing up a legal framework. In December 2018, García Egea, the secretary general for the Spanish ruling party, Partido Popular, announced the party would introduce a draft bill on cryptocurrency and blockchain regulation in an effort to provide security to the country’s investors. Like what you read? Follow us on Twitter @ETHNews_ to receive the latest Spain, European Union or other Ethereum law and legislation news.